U.S. Secretary of Energy Rick Perry announced (02/28/19) the launch of the Department of Energy’s Versatile Test Reactor (VTR), one of the top priority projects specified in the Nuclear Energy Innovation Capabilities Act of 2017. The VTR is a project detailed in the Nuclear Energy Innovation Capabilities Act of 2017. The main take away from this announcement is that the DOE initiated a Critical Decision 0 (CD-0) on Versatile Test Reactors (VTR). A CD-0 means that a mission need has been identified and DOE will begin work on R&D, prototyping, conceptual designs, management plans, and cost and schedule estimates. The fast neutron testing capability will help the United States meet its goal for advanced nuclear reactor technology development. The VTR project will provide leading edge capability for accelerated testing of advanced nuclear fuels, materials, instrumentation, and sensors. It will allow DOE to modernize its materials testing within the United States in a safe, efficient and timely way. Secretary Perry spoke to the importance of the VTR project when he announced it at a joint press conference with International Energy Agency Executive Director, Dr Fatih Birol. The Nuclear Energy Innovation Capabilities Act of 2017 (NEICA, S. 97, which was enacted into law in September of 2018) included provisions for a Versatile Neutron Source and directs the Secretary of Energy to determine the mission need for a versatile reactor-based fast neutron source operating as a national user facility, as well as a deadline, to the maximum extent practicable, to complete construction and approve the start of the VTR operations by December 2025. DOE’s Idaho National Laboratory (INL) will lead the VTR project. The U.S. has not had a fast neutron spectrum testing facility for over 20 years, precluding the ability to conduct the types of accelerated irradiation testing needed by non-light water advanced reactor concepts. The proposed VTR project could provide accelerated neutron damage rates 20 times greater than current water-cooled test reactors. These higher damage rates are needed within the U.S. to accelerate the testing of nuclear fuels and materials needed by scientist and developers of transformational reactor technologies. “The U.S. has the largest number of operating reactors compared to any other country, and there are a lot of U.S. companies working on technologies to make the next generation of reactors even more inherently safe and more economically competitive,” said Ed McGinnis, NE Principal Deputy Assistant Secretary. If DOE approves a design and construction of the VTR, it will be located at the site on at the Idaho National Laboratory located about 50 miles west of Idaho Falls, ID. INL also has extensive facilities and offices in the city in addition to its infrastructure on the Arco desert. Dan, being the implacable skeptic on EnergyCentral.com can be a tough job, but somebody's gotta do it. ...if DOE approves a design and construction of the VTR..."
When I visited Argonne National Laboratory in 2015 Roger Blomquist, a veteran nuclear engineer/physicist who also serves as director of outreach for the lab's Nuclear Engineering department, described its work on the Integral Fast Reactor (IFR). According to Blomquist, the reactor was "ready for prime time" - commercial production - when the project was killed in 1994 by Bill Clinton and John Kerry. Since then, DOE and the Nuclear Regulatory Commission have occupied a reference frame where relativistic time expansion (in layman's terms, foot-dragging) has brought new nuclear development to a standstill. It's going to take seven years to approve the start of VTR operations...really? Good thing physicists of the 1940s were able figure out how to make a nuclear weapon in less time. Otherwise, we'd be speaking Japanese. "During the press conference, [Energy Secretary Rick] Perry announced new plans for USD24 million of funding for projects to advance transformational CCUS technologies, which he said would allow the use of coal and natural gas with "near zero" emissions. He added however that nuclear would still play an essential role." CCUS apparently stands for Carbon Capture, Utilization, and Storage, the latest American Petroleum Institute euphemism for EOR (Enhanced Oil Recovery), the latest API euphemism for PMCOTGWPPSB (Pulling More Carbon Out of The Ground, While Pretending to Put Some Back). For this effort Big Oil gets $24 million; nuclear gets a promise which, together with $1.85, will buy you a cup of Starbucks coffee. I agree, Dan. It ain't dead yet, maybe "comatose" is a better word. "A sodium-cooled reactor that produces useful power requires (among other things) a license from the U.S. Nuclear Regulator Commission. This document provides four options to accomplish this. Any one of these options requires a significant amount of effort. GEH, as a reactor vendor, holds the first Design Certification (ABWR) issued by the NRC in 1997, and is seeking a design certification for the ESBWR design. Regulatory uncertainty to license a sodium-cooled reactor is so large that the "valley of death" for this transformational energy technology appears nearly infinite [bold mine]. Only through formal and transparent interaction with the NRC in a license application submission can entrepreneurial decisions be made for the future. Transparent interactions with the NRC, industry, and most importantly, stakeholders for the safety of sodium-cooled reactors will accomplish tangible risk reduction. This document provides four different options to start this transparent interaction." In a forum presented by NuScale introducing their SMR concept, company engineers described similar frustration in dealing with the NRC - repeated requests for information the company had already submitted, requests for systems unrelated to NuScale's design, etc. When I asked whether regulators seemed overworked, underqualified, or antagonistic, they replied, "We don't know." What do you think is responsible for the valley of regulatory death in the U.S. allowing foreign competitors to leapfrog U.S. nuclear development? France is the most nuclearized country in the world (once 78% of all electricity by 58 reactors). It had 3 successive generations. The third, 1.2GW Superphénix, was assumed to compete on market. It was grid connected in 1986 with a core of 4045kg Pu239 (half life 24K yrs), and closed in 1996. Its life time load factor was 7%. It suffered many problems (sodium leakages, etc) and could never continuously operate for >17months. Results elswhere (Japan, UK, etc) are not better. and they had (a) narrow escape(s) from disaster. 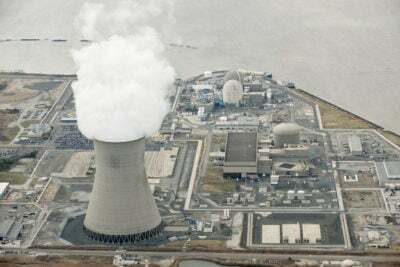 The German pilot, 300MW Kalkar ready in 1986, was never started because nuclear experts explained in court that, if out of control, 'fast' implies also a much faster expansion of its energy production. Furthermore that the explosion (within hours, not days like Fukushima) would result in an excluzion zone larger than Germany because the reactor contains so much more radio-active (longer living nasty) material. Bas, the U.S. Nuclear Regulatory Commission does not rule on the financial potential of nuclear technologies. And because there have been no "disastrous bad operational & financial results of fast reactors in the world", I can only assume this soundbite is the product of someone's fearful imagination. there have been no "disastrous bad operational & financial results of fast reactors in the world"
How can you assume that French 1.2GW Superphénix showed acceptable results despite reaching a capacity factor of only 7%, while having major repairs during its 10yrs lifetime? It was a money drain, so much that the French didn't start with the construction of a new fast reactor. Only some fanatic try to keep the idea of a new fast reactor (Astrid) up, supported by some Japanese. That Japanese Monju fast reactor delivered acceptable results? So much that even the stubborn Japanese authorities decided to close it, and didn't start the construction of a new, improved fast reactor (Monju operated about a year in a ~25year period requiring major repairs nearly all the time). That UK abanded their fast reactor ideas after an accident spoiled a beach (no longer accessible for humans) in the North of Scotland (contributed probably to the opinion swing in Scotland towards green renewable; Scotland now targets 100% renewable electricity in 2020 thanks to their major wind resources). The problem is that our technology and materials may be theoretical oké but in practice it shows time and again they are not. So those fast reactors operate with major risks. All significant sodium cooled fast reactors (which is near all fast reactors) suffered from hot aggressive sodium fire(s). Those led to the emission of significant radio-activity and took the reactor off during a long period. Sure, Bas. Astrid is a bad, unsafe idea, and will never be economical. Be sure to email the fanatics at Électricité de France, Areva, Alstom Power Systems, Comex Nucléaire, Jacobs France, Toshiba and Bouygues Construction, who have hired 500 employees and committed 5€ billion to the project, and let them know it's a fool's errand. If they don't respond don't be discouraged, it could be because their spam filters blocked your message. ProPublica tees up nicely an impending decision in New Jersey on clean-energy incentives for the nuclear power plants operating in the state. Personally, the comprehensive reporting I'm interested to see is a story examining the thoughts of.. This is a nice overview of efforts taking place to drive down costs at nuclear power plants. Assuming there are savings to be realized -- and the message here is that there are -- the rub in a post-Fukushima world is whether the federal..